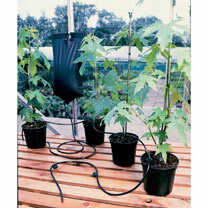 Water your plants for up to 20 hours, slowly and efficiently, with our Big Drippa Watering System. 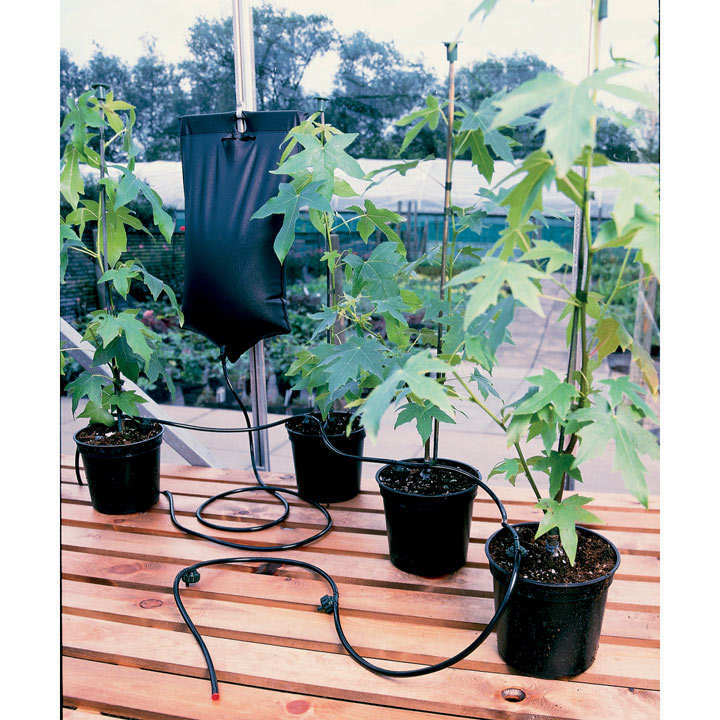 The large capacity water bag holds up to 10.5 litres (over 2 gallons! ), with a system that allows you to independently regulate water flow to each plant, via six adjustable drippers. Tube length 5m (16'5"). 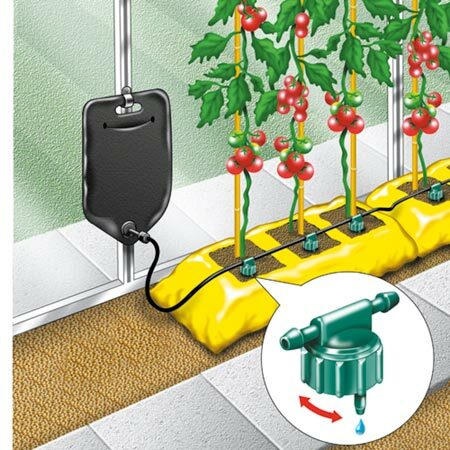 Perfect for growbags.